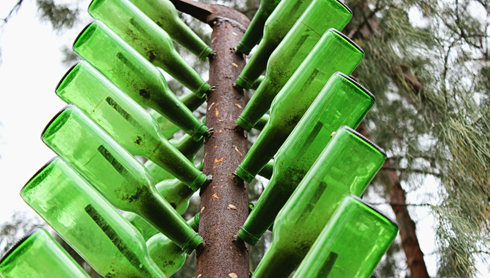 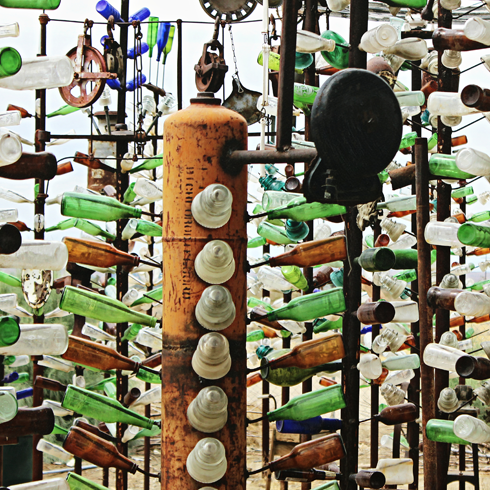 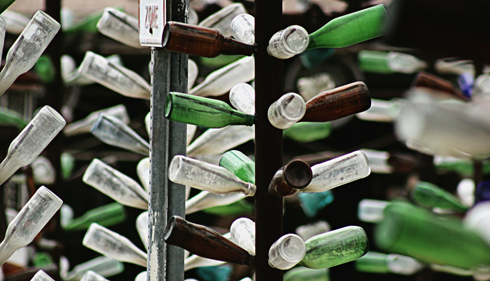 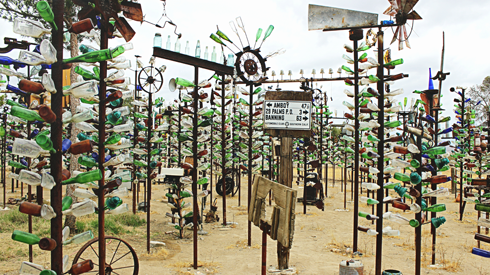 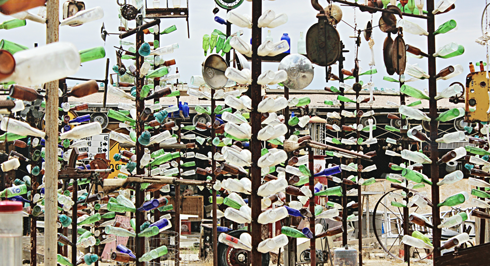 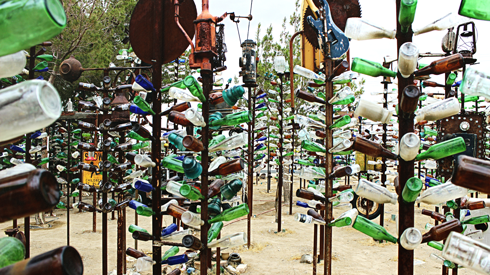 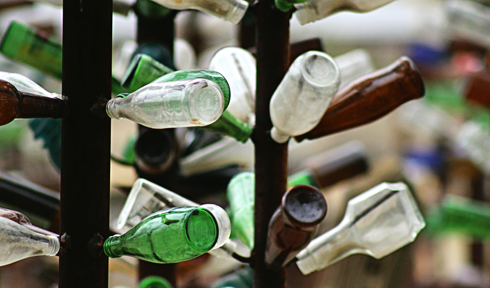 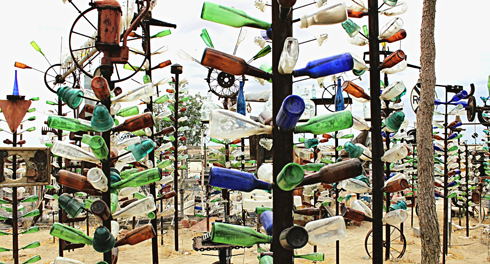 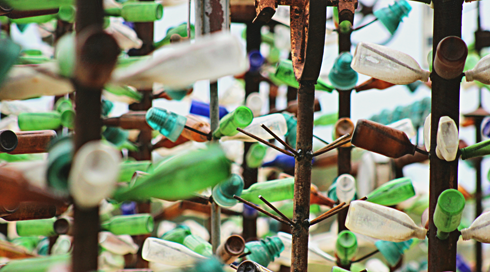 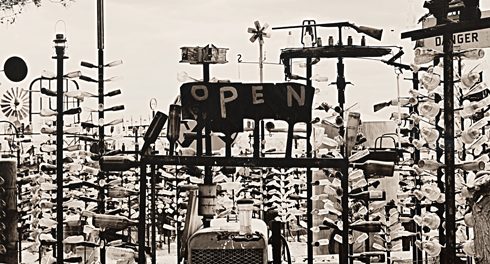 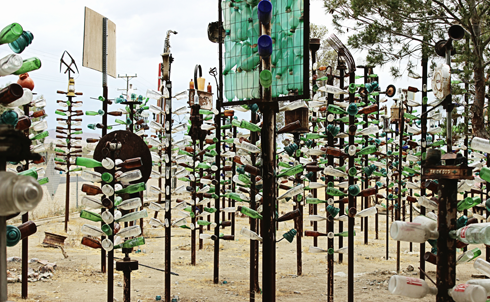 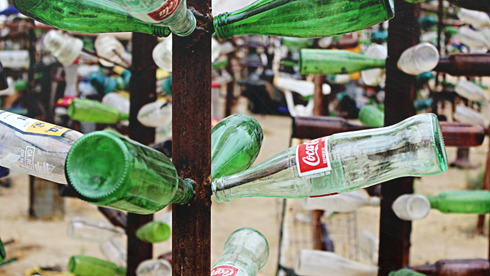 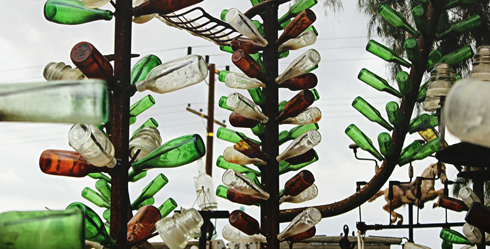 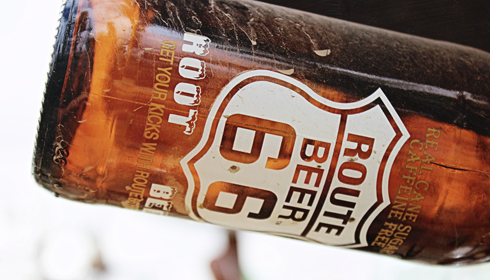 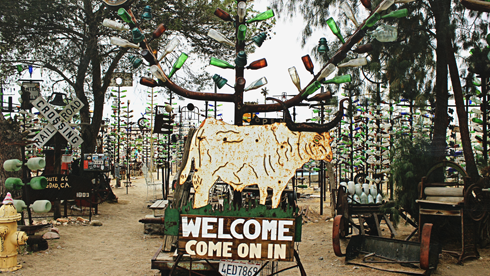 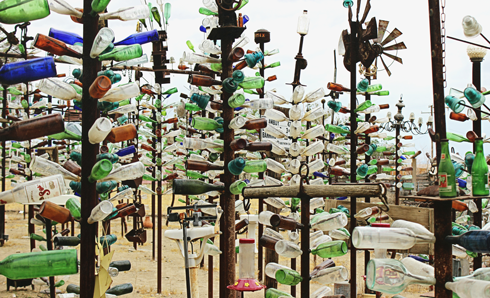 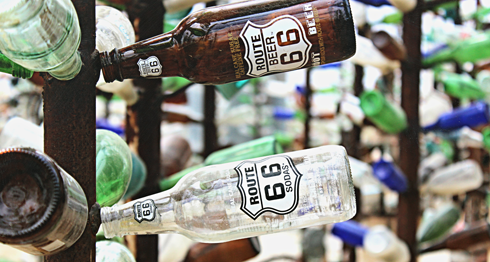 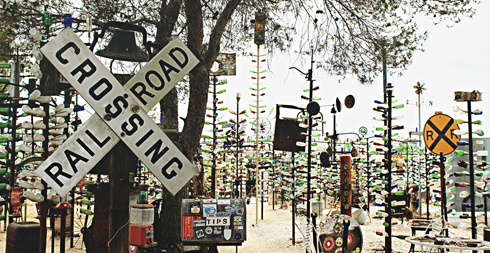 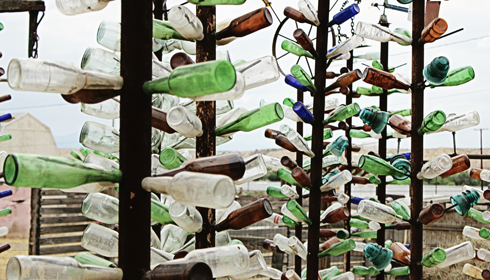 Elmer Long's Bottle Tree Ranch is exactly the kind of roadside attraction that makes the California stretch of Route 66 such a fun drive. 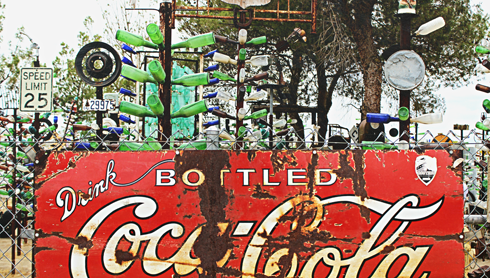 Featuring practically every color of glass, old hubcaps and rusting tin signs, this quirky art project, in the same vein as Salvation Mountain, has made an attraction out of the seemingly ordinary. 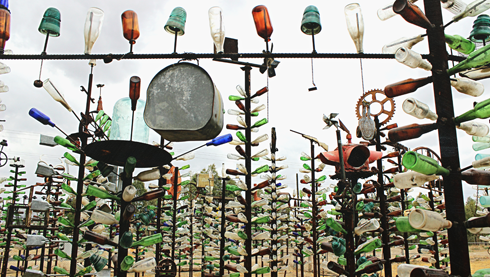 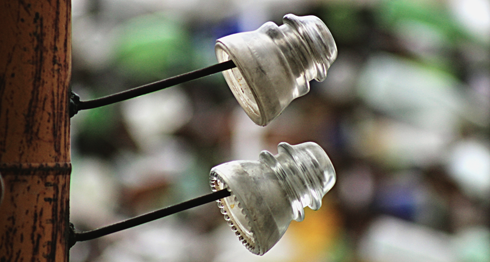 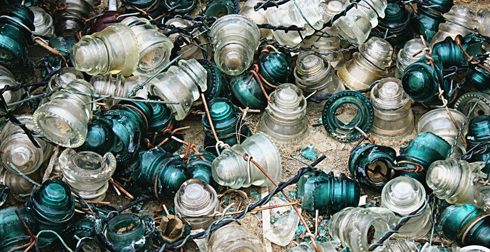 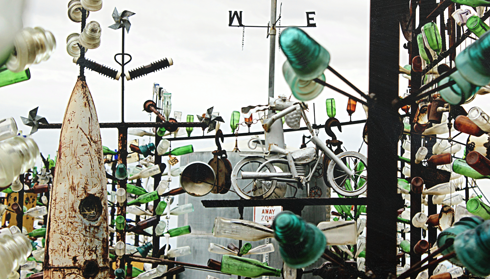 This folk art forest of glass and metal is a fascinating place to explore. 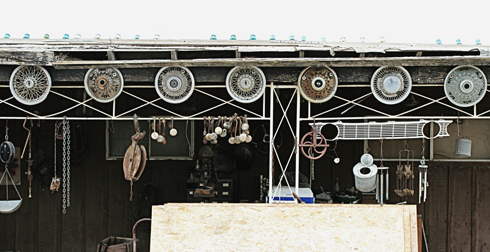 The colors, textures, and novelty of the display pull you in to investigate. 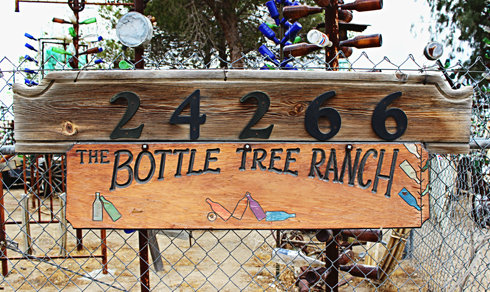 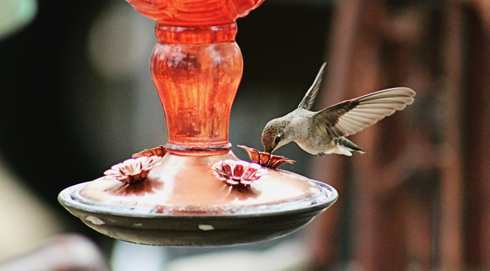 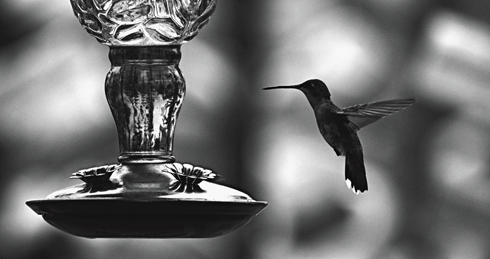 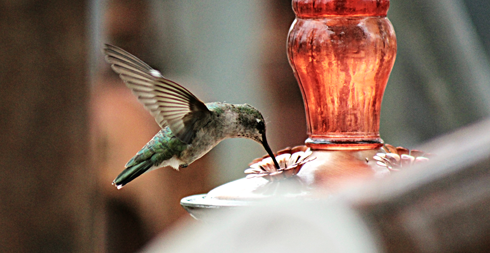 Hummingbird feeders hang all over the Bottle Tree Ranch, and I must have seen about twenty hummingbirds during my brief visit. 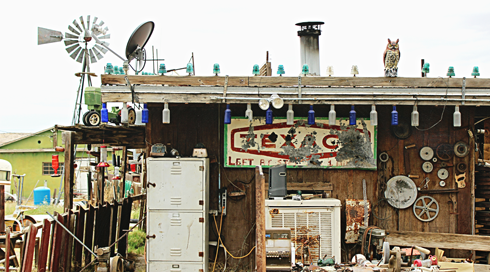 It's a memorable place to "get your kicks" and it was a lot of fun to photograph. 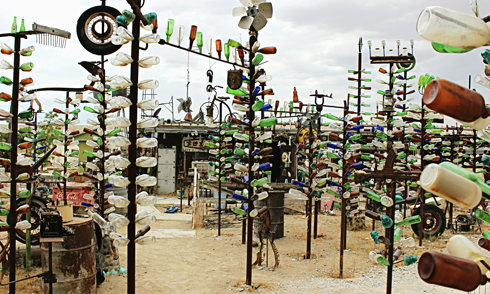 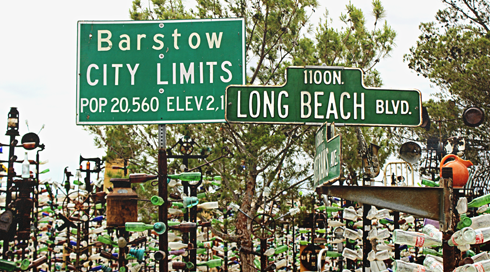 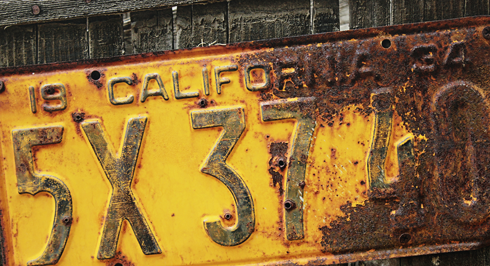 From Barstow, California to Elmer's Bottle Tree Ranch I continued my journey heading south. 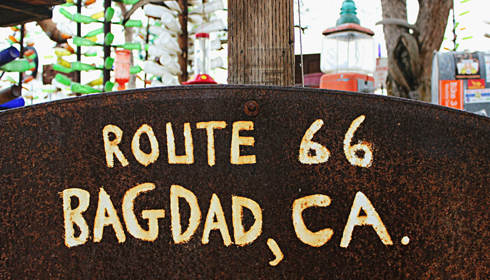 My next stop along "the Mother Road" was at the Wigwam Motel in San Bernadino.